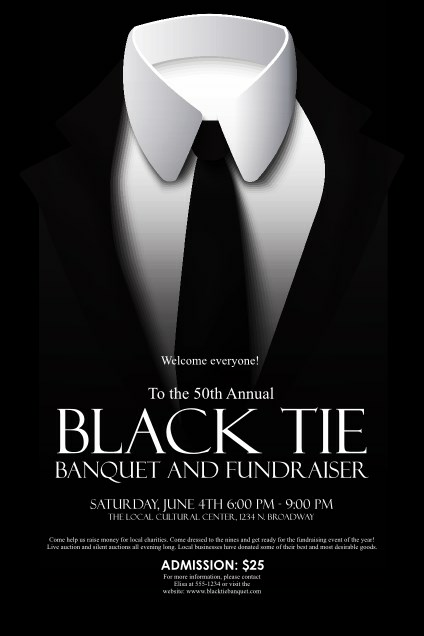 When promoting your next gala, choose the sleek and sophisticated style of the Black Tie Poster. A crisp white shirt and white text stands out on a deep black background, with twelve lines for your event details. Enter event information in the easy template below and we'll print and ship them your way! Raise awareness of all your events with the right poster from TicketRiver.com.au.